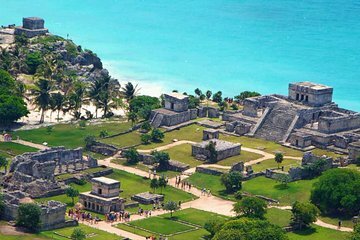 One full day trip packs in sightseeing at two impressive archaeological sites on this trip to Coba and Tulum from Cancun. Visit a modern Maya community in the morning, and then enjoy a delicious lunch before heading to the Coba and Tulum ruins for a guided tour of their key sights. pick up from starts 7 am depende on the hotel.